The Success Academy at Hillside Middle School is dedicated to serving the unique needs of children with Autism in grades 6-8. The Success Academy at Hillside Middle School is committed to creating a safe and nurturing environment in which students are provided with developmentally appropriate instruction and a standards-based curriculum that incorporates research-based best practices for students with Autism, helping them become independent productive citizens. Daily instruction at the Success Academy is based upon each child's Individualized Education Program. Two academic strands are offered for students. One emphasizes standards based, grade-level curriculum, while the other focuses on the development of functional skills. Classroom instruction is language-rich. Students are given opportunities to work in one-to-one, small group, and large group settings. Lead teachers and well-trained instructional assistants implement evidence-based instructional methodologies proven to be effective for students with Autism. Opportunities for interaction with general education peers are available throughout the school day. Success Academy teachers are available for direct and consultative support to the general education staff. The focus of the Success Academy is on meeting the academic, linguistic, behavioral, social and emotional needs of each student, to help them increase their independence and develop interpersonal and educational skills to the fullest extent possible. The Success Academy at Hillside Middle School offers the desirable combination of a highly intensive, self-contained setting with access to middle school general education classes. The Success Academy program has a designated student drop-off and pick-up area with preferential start / end times for students needing this accommodation. Success Academy students can feel safe and nurtured in their own settings, but still enjoy benefits of attending school with typical peers. Instruction at Hillside Success Academy is focused on the individual needs of each student, and includes both standards based academic content and functional life-skills curriculum with an emphasis on communication, social skills, self-regulation, and academics. Assistive technology is available for each student as needed. Daily home-school communication includes teacher comments highlighting students' success in scheduled activities throughout the school day. Parent feedback is welcomed and helps to build a collaborative partnership between home and school. Applied Behavior Analysis (ABA) & Positive Behavior Support (PBS): Teachers and staff are trained in the application of Applied Behavior Analysis as well as Descrete Trial Teaching, Pivotal Response Training, and other methodologies that have been proven effective with students on the autism spectrum. All classroom staff receive on-going training in these methodologies as well as in NCI (Nonviolent Crisis Intervention). Support from the School Psychologist and Behavior Specialist is also available to assist staff and students with behavior issues as needed. Positive Behavior Supports are emphasized and incentives and rewards are used to shape positive behavior. Occupational Therapy: The Success Academy will have the support of a licensed Occupational Therapist to work with students who have fine or gross motor, or sensory processing challenges. The program has a sensory room equipped to assist students with sensory processing difficulties. Staff will implement the ALERT Program to assist students in learning to self-regulate their behavior. Social Skills: The Success Academy team recognizes that social skill development is an aspect of every child's life. Social skills instruction is embedded as part of the school day. Students have opportunities to interact with classroom peers as well as typically developing peers by way of mainstreaming, reverse mainstreaming and other peer support programs. Speech-Language Therapy: The Speech-Language Pathologist (SLP) is credentialed and trained to work with children on the Autism Spectrum. 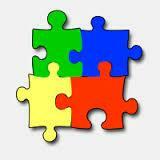 Speech and Language services are provided based on each child's IEP. The SLP also provides structured social skills consultation and training within the classroom setting to assist the teachers to help students work on pragmatic skills and to generalize skills across all school settings. Visually Structured Teaching: Teachers utilize the fundamentals of a visually structured approach in the classroom. Visual schedules provide each student with needed structure and organization.